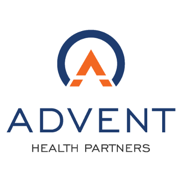 Advent Health Partners’ software-as-a-service based application, CAVO, aids healthcare providers in gathering relevant data surrounding a claim. Customers count on CAVO to deliver maximum financial returns and operational insights. Having any downtime in their application can risk a negative user experience. Thanks to Redis Enterprise, Advent Health Partners has seen a reduction in downtime for CAVO with less of a need for specialized resources. To guarantee reduced downtime for its mission-critical SaaS application over its multiple clustered servers. I would recommend this service to anyone needing common data over multiple clustered servers.